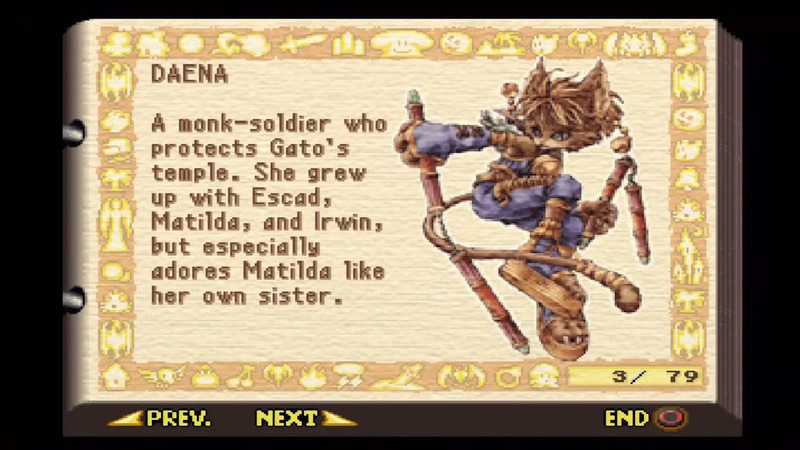 Legend of Mana had a lot to live up to and rightly so. At the time of its launch, the Japanese market’s most recent experience with the Mana series was Seiken Densetsu 3 while the rest of the world could only compare this game to Secret of Mana. Since both Secret and SD3 are still brought up in conversations today because of their brilliance, it was no surprise that, back then, the expectations for Legend of Mana were running exceedingly high. With the transition of Mana’s high fantasy style to new hardware paired with the desire for innovation and new, unique gameplay, Legend of Mana serves as a shining example of how new ideas can be well integrated with a series’ tradition to produce a worthy sequel. As with all Mana games, Legend of Mana is its own world and story that exist apart from all the other games. In this game, the Mana Goddess, the Tree, and the power of Mana have all fallen into legend. Previously, wars were fought for any remaining Mana power, but as those who sought this power grew scarce, peace returned to the land. Hundreds of years have passed since then and the world’s people are oblivious to Mana and the Goddess. But now, it seems it is time once again for Mana to flow across the world. Through several journeys, you will meet a cast of characters whose lives you will forever change. These include Elazul and Pearl, of the Jumi tribe, Larc and Sierra, a pair of Dragoons fighting on opposite sides of a Dragon war, and a group of four once friends whose fates are tragically intertwined. Other reoccurring NPCs will also provide their own quests and backstories that are either completely separate or lightly relate to these three major groups and their stories. Rather than a single, central plot, Legend of Mana consists of three major subplots, revolving around those three groups I mentioned, plus a final endgame arc that acknowledges the central theme of the game. 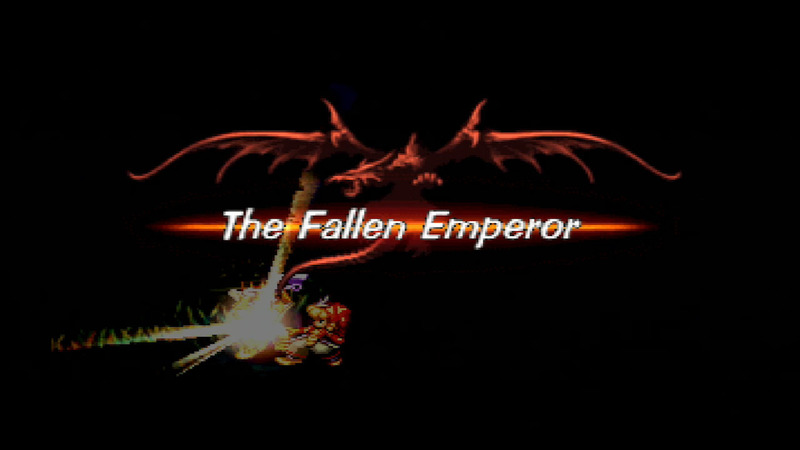 However, unlike Seiken Densetsu 3, these three subplot arcs have very little to do with the final arc. They are only connected by the main theme of the game. I say theme because there isn’t a main plot, but rather a central idea that encompasses and binds all of the major events. It’s a drastic departure from Secret of Mana and most other games that have a centralized story to tell. Unfortunately, there are no differences regarding which character you choose. What impresses me the most with the story is this central theme and how well it permeates the game. Legend of Mana is about love. Love is the root of all the story events that unfold in this game. As the game portrays, love comes in many forms and can have profound influence over the characters’ actions. We see the love between siblings and how their forced separation results in terrible decisions made out of desperation. We also see the love individuals can have for an entire people and the willingness individuals will go through to protect their own. Sometimes, love can bloom regardless of character. Society, bias, or imposed stereotypes cannot stop love from developing. Love will always produce an outcome or result and it may not always be what we expect. It can raise other issues, such as race and identity, as well as the hate, violence, and injustices that stem from discrimination. Love can bring individuals or entire nations together. It can also entrap, burden, and strip the freedoms of others ill prepared for its enrapturing nature. Love is impassioning and volatile, yet can produce the deepest serenity. 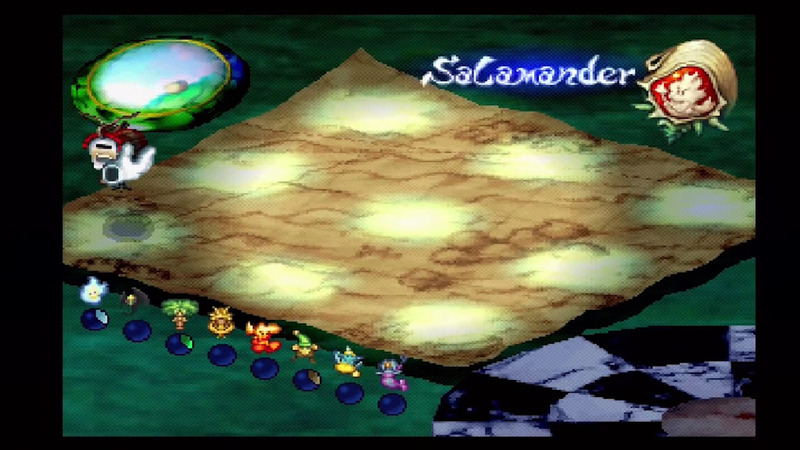 This is what Legend of Mana attempts to convey. Love is as complex, multifaceted, and enigmatic as the people it both touches and proceeds from. This game also manages to incorporate the topic of love as a person. Several parallels can be drawn between the Mana Goddess and the Christian belief that God is Love. The prologue, in which the Mana Goddess says “I am love” and “Remember me! Need me!”, is reminiscent to the dependence God wants His people to have unto Him. It’s the message Jesus gave during His earthly ministry, in which He defines the gift of His Grace, as in His friendship, favor, and abundance towards His people. And both only ask for the people’s faith in return for this divine gift. It’s a subtle analogy, but one with weighty impact. In terms of its execution, the overall method of storytelling is rather mixed. I appreciate the ambition of the devs to try something new, as well as leaving the progression of the subplots almost completely up to the players. I say almost because some quest availability is dependent on the completion of other quests and/or the availability of a specific location. Only one of the three subplots needs to be completed to enter the endgame arc, so players could choose how many of the subplot arcs and other quests to complete and in what general order they wish to do so. I also like how well this style of plot development works with the world building element this game possesses, which I address below. Giving the players significant power over the shape of the world and the progression of events within is an incredible idea and is fairly well implemented. One problem I did find is when certain quests overlap, one will progress while the other gets locks out. However, an even greater misfortune I found was that providing this freedom to choose which events to complete, along with the sheer number of events to do, hampers the depth that could have been achieved with a main, central quest line. None of the three arcs go into any great detail, nor do they achieve any sustained, momentous depth. In terms of storytelling, we are given a basic framework of the conflict each group is pushing through and as their quests progress, that frame is filled in with detail. However, that detail is too sparse to create a lasting impact or achieve a deep, satisfying story. There are definitely several poignant moments that will hit emotional notes, but they are too few and muddled with mediocrity in between. Also the overreliance on players to discover the subtleties of the context, rather than fleshed out writing or cutscenes, diminishes the potential impact. While there is also some character development as you interact with these main NPCs on their journeys, there again isn’t enough of it to strongly draw players into their struggles. More often than not, players will end up completing quests just to see what happens without any genuine concern or feeling for those characters or their conflicts. It’s a tremendous shame because the bright glimmers that do shine through left me awestruck and yearning for so much more. Fortunately, Legend of Mana has many more bright spots that can compensate and one of those is the gameplay. This game features an incredibly extensive set of gameplay mechanics, all of which influence one another to deliver an impressive overall experience. Starting with world building, this major aspect gives players the ability to choose a starting section of map and place all of the game’s locations onto it. Each location gives at least one quest just for entering it, but will be required for several others quests as well, including those pertaining to the three main subplots. Location arrangement is solely up to the players, so if you wish, you can arrange your map to have all of the towns on one side and all the dungeons on the other. Or, you can group all of the water areas together and all of the forested areas elsewhere. A bit of planning helps, since each location has elemental stats that can influence adjacent locations. For example, a high Undine stat can increase the strength of water enemies in an adjacent location. Achieving high levels of certain elementals for specific locations can also unlock new quests. Experimenting is highly encouraged because you never know what secrets you’ll uncover. Combat is another major aspect of gameplay and consists of using a variety of weapons and techniques during a battle mode, which is activated when enemies are present. Combat is real time, but unlike Sword or Children of Mana, in which you can attack in any direction, here you are limited to attacking on the horizontal axis. You can move in all directions, yet you can’t strike up or down. Fortunately, you can earn and unleash impressive techniques that can hit in a wide range. Still, striking in all directions has been present and mastered since the NES era, so why the devs implemented this limitation is questionable. I did appreciate the ease of combat, the variety of weapons. and the tremendous number of special techniques that can be unlocked, but overall, combat lacks the fluidity achieved in other Mana games. 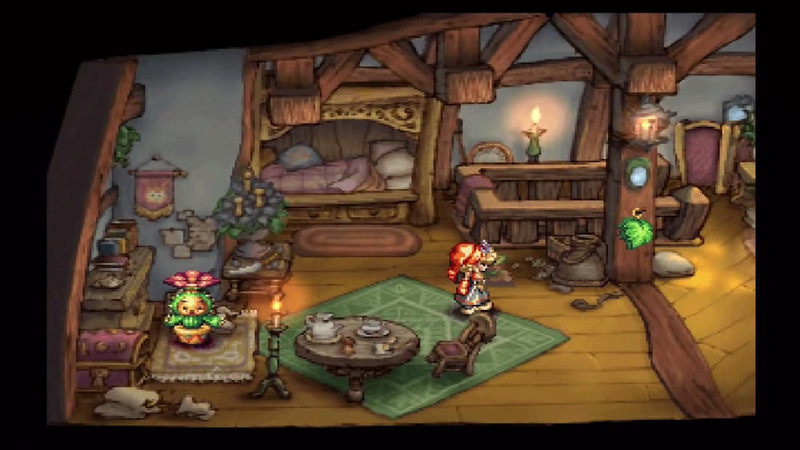 Outside of combat and world building, Legend of Mana has many other features, including the Forge, the Orchard, the Monster Corral, the Instrument Workshop, and the Golem Lab. From harvesting items, to creating new equipment, to raising monster pets and building golems to aid you in battle, these mechanics all have impressive depth and can alter gameplay significantly. If you like the idea of raising your own pets or forging your own customizable weapons, you have the freedom to do so. How often or how extensively you wish to use these features is also completely left to the player. Whether it’s making discoveries or just taking a break from combat, these aspects are remarkable additions to gameplay. 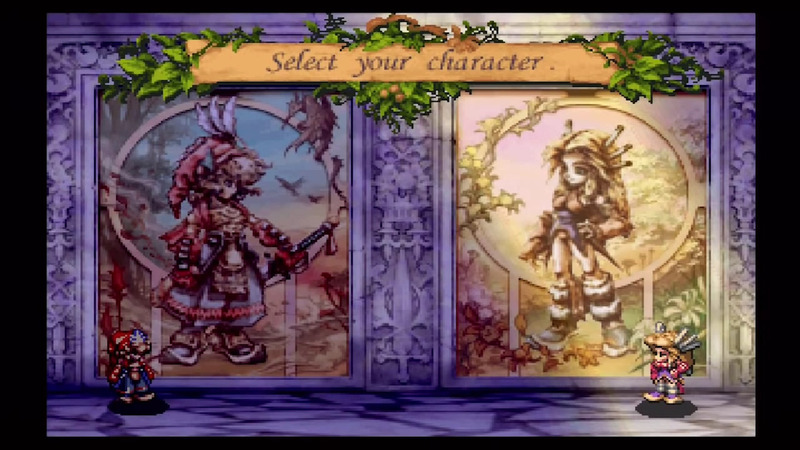 The successes of Legend of Mana are demonstrated further in its aesthetic appeal. 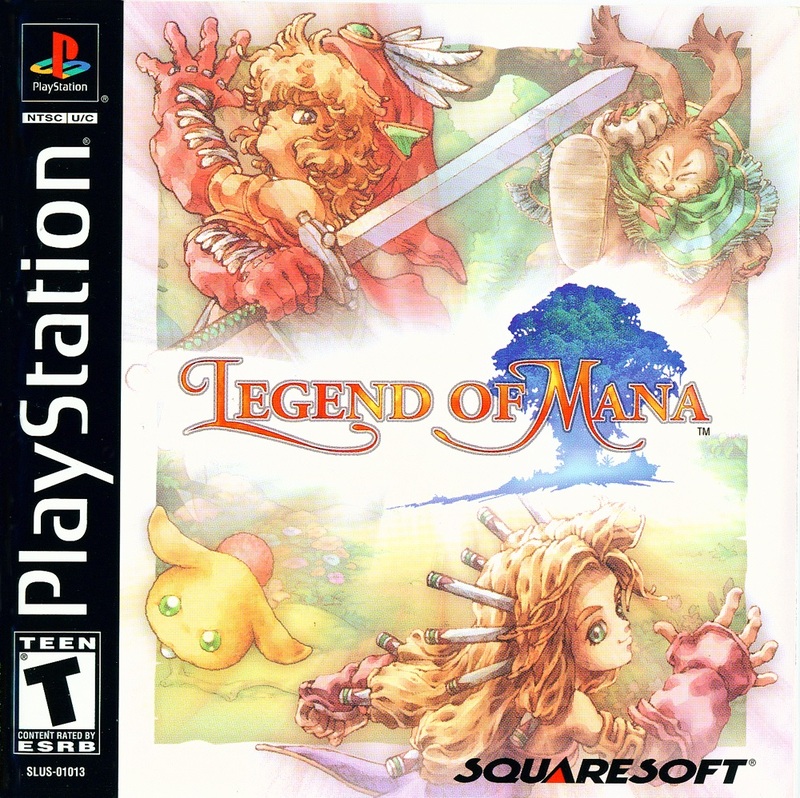 Squaresoft/Square Enix have always managed to make the Mana games look and sound amazing and Legend is no exception. This game features a beautiful hand-painted fantasy style that permeates every visual aspect, from character sprites to playfields and backgrounds. I’m especially fond of the character portraits shown during conversations and other interactions. It’s impressive that every collectable monster for the corral also has one of these portraits, demonstrating the talents, efforts, and remarkable commitment of Square’s artists. I also appreciate the detail that went into the on-map locations, which show their distinct qualities and sheer diversity. The soundtrack is equally impressive as the visuals and matches the artistic direction fittingly. Each track pairs seamlessly with the locations or events on screen and embellish the specific tones the game tries to convey. Composer Yoko Shimomura, who has also composed for Parasite Eve and the Kingdom Hearts series, has done a fantastic job of capturing the Mana style in musical form, adding spirit and heart to bring the game to life. Her work is just similar enough to Hiroki Kikuta’s, who composed for Secret and SD3, while also incorporating her own style and skill, to create a sound score that both sounds like Mana and possesses its own identity. Altogether, the aesthetics work so well in tandem that they stand out among the best, both in the series and in the entire genre. Overall, Legend of Mana is a fantastic addition to the series. It may have its missteps, but what it does well, it does exceedingly well. There is enough variation in the gameplay to keep players very thoroughly entertained, and the vast number of quests will keep anyone busy for many, many hours. Its aesthetics are charming, captivating, and very much worth experiencing. Again, I wish the three subplots were stronger and the side quests more plot relevant, but there is enough, story-wise, to capture the attention and hold the interest of players till the end. Legend of Mana has the ambition and creativity I’d love to see in future installments, and I can only hope the execution in the future will be as well done as it is here.